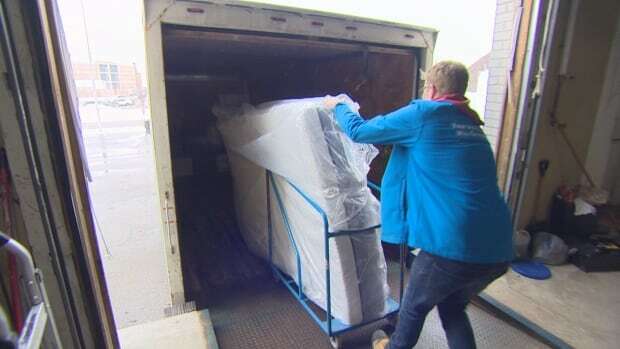 CBC News posted a nice article about Furniture Bank, how it operates, what is needed and how you can help. Read the article below or access CBC’s original post by clicking this link. A Toronto furniture charity that helps thousands of people every year is struggling to furnish its own warehouse. The Furniture Bank, a registered charity and social enterprise, passes donated items on to individuals and families in need. That need is high right now, but the Furniture Bank is running low. 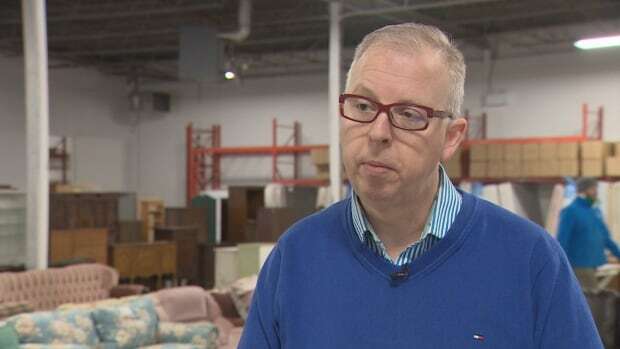 “This room should be brimming with furniture,” executive director Dan Kershaw said in an empty section of the charity’s Etobicoke warehouse. Running at full capacity, the Furniture Bank, which was founded in 1998, can help about 20 families per day, but right now they can only manage about half that. There is an active waiting list and Kershaw estimates there are as many 50,000 families in the GTA in need of furniture, including refugees, new immigrants and women escaping abuse. “More furniture allows us to help more families. It’s that simple,” Kershaw said. One of the families, Dimpy Komal, Deepak Kathait and their 6 year-old daughter, toured the Furniture Bank’s showroom on Thursday. They immigrated from India less than two years ago. Komal is studying right now and most of the family’s income goes towards their north Etobicoke apartment. “Housing takes a lot of money. It’s a major cost. It’s more than what I expected,” Komal said. Add on groceries, transportation and child care, and buying a coffee table slides down the priority list. “Furniture is far down that list,” Komal said. Kershaw says furniture is an important social need but one that gets overshadowed by housing. “We’re that very last mile, where people who have keys to an empty apartment come here to build a home,” he said. And how the Furniture Bank does this is important. Families are invited to the showroom and assisted in selecting the right furniture. It’s then delivered free of charge right to their home. 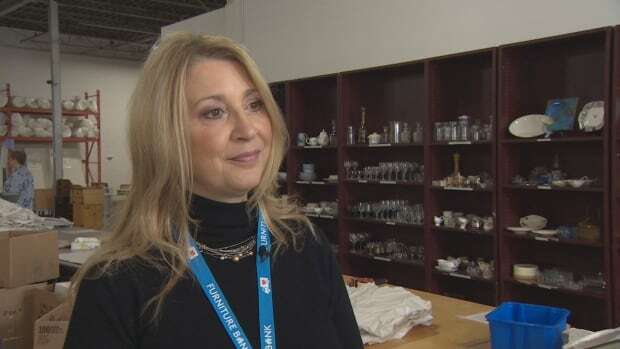 Janice Fedak, a professional interior designer who volunteers for the charity, says she treats people at Furniture Bank the same way she treats her professional clients. “They’re all the same. Everyone is picking the things that they need to make their house a home,” she said. As she guides them through the showroom, Fedak tries to get a sense of the space being furnished and a family’s needs in order to help them choose the right items. “The most important thing is that they’re treated with dignity,” she said. Martin Train is single father, who experienced homelessness for the first time over three years ago. After he was able to secure a townhouse in Leslieville, his kids came back to stay with him, but it still didn’t feel like a home. “We’re sitting on the floor, we had 3 sleeping bags and a milk crate. And that is all we had,” he said. Train said living without furniture was socially isolating. “I couldn’t have anyone over. It was demoralizing,” Train said in an interview. The Furniture Bank gets many of its items through its pickup service. For a fee, they will pick up unwanted items that people want to donate. A tax receipt is provided. The fees offset the cost of the service and fund the enterprise. The Furniture Bank also raises money through traditional fundraising drives.